Feel peace of mind. Take time to escape from the hectic pace of life's demands. All the ancient oils of Pachouly, Frankincense and Cedarwood to take you deep within. 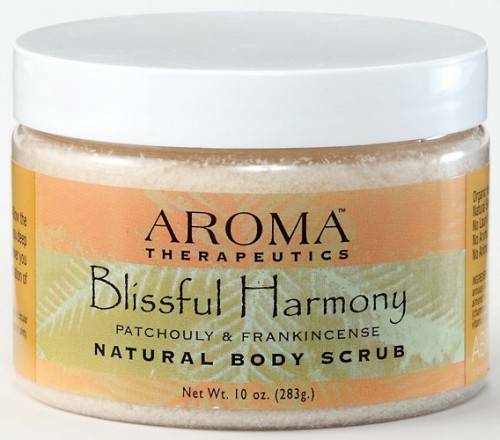 Enjoy Blissful Harmony Aromatherapy Body Scrub whenever you need to bring your life into holistic balance. Experience the sensation of oneness with the universe. Use in shower or bath. Scoop a small amount into hand and gently scrub skin in circular motion, avoiding face and delicate areas. Rinse well. Botanical oils can be slippery. Use a shower mat for safety.